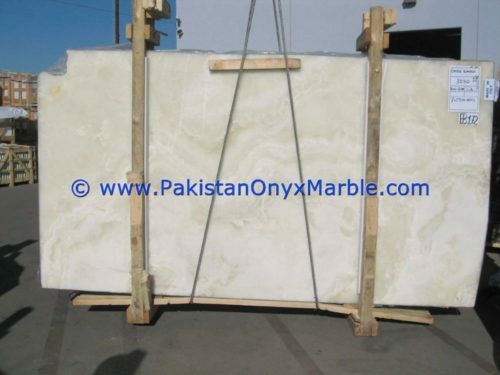 Pakistan Onyx Marble produces various types of Pure white snow white Onyx Slabs, for every type of demand and devotes much care both in the selection of the slabs and in the polishing of the slabs. 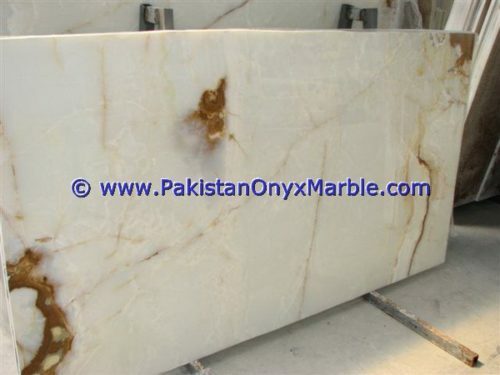 The selection aims to satisfy the Customers’ requirements so that they can be sold on international markets. 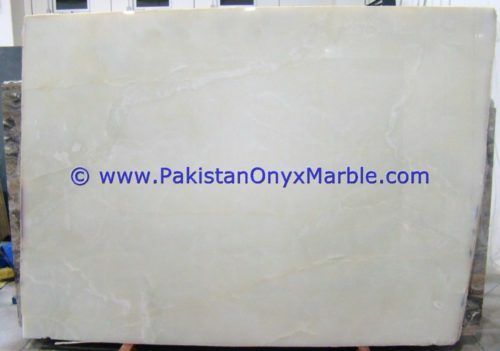 Pure white snow white Onyx Slabs are suggested to produce vanity for bathrooms, Slabs, skirting, stairs and any kind of cut-to-size work of reduced dimension. They are suitable for markets where the labor cost is lower than in other countries, or where the work required to finish the product is not cost effective so that the cost of the finished work remains more competitive. *Each stone, and therefore each floor, is unique in character, and variation must be expected. 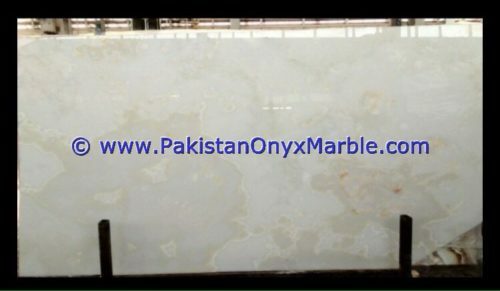 All slabs sizes and thickness are an approximation only and all Onyx slabs will vary in color, tone, marking and texture from those shown in the website/brochure or from samples received. 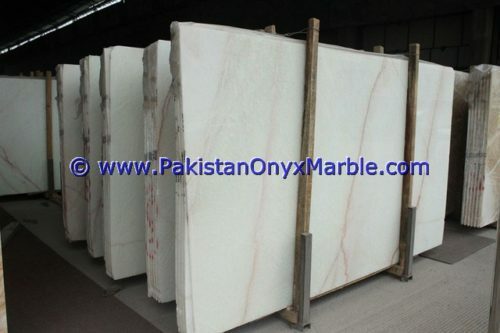 As far as the selection of Pure white snow white Onyx Slabs, according to the uniformity of color and veins.